The classes at EC are some of the best — unique, engaging, and inspirational. 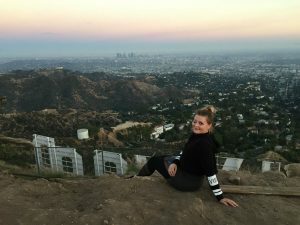 Check out this post by Student Ambassador, Yaël (Switzerland), where she explains a class outing that was both educational and moving! “The classes at EC are always interesting and fun, especially the interactive lessons we have from time to time. Recently, we had a very special occasion which was more serious and also really moving. 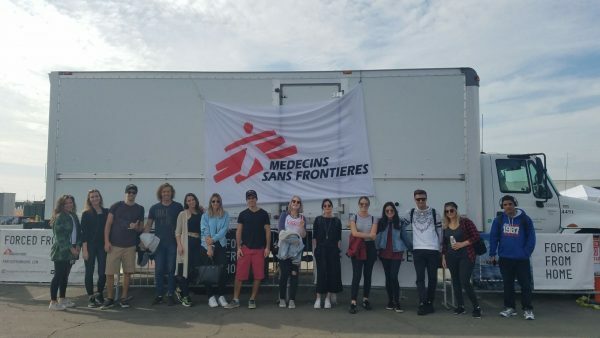 We went to an exhibition about refugees next to the Santa Monica Pier, hosted by Doctors Without Borders. The organisation offered residents a free 1h-tour to get an impression of what kind of procedure refugees have to go through when leaving their country. To get a feeling what it is like to be a refugee, they handed out cards to all of us, giving us new identities from different countries with hard conditions. After that, we had 30 seconds to grab some items we want to take with us on the flight. The tour was divided in several stations where they explained some aspects of the flight more detailed. E.g. while we were sitting on a real rubber boat they told us that smugglers put 60-80 humans on boats like that made for 8 people. Or that they sell expensive life jackets to the families which are in fact made of cardboard and work like an anchor once they’re soaked with water. We also learned more about the conditions in the camps and the different diseases which are likely to outbreak when the hygiene is insufficient. I personally was impressed by the simple system the doctors use to help malnourished children. With a paper wristband they identify the level of undernourishment. If the wristband can be tightened to the red zone, the child needs immediate transfusion every three hours for three days. After that, they start feeding them a peanut paste called Plumpy’nut filled with calories and vitamins and the parents can continue this treatment in their home at the camp so that the doctors can use the bed for new patients. This seems like a really effective way to help as many children as possible. After every station we had to pay with one of our items we took at the beginning, to simulate the different payments the refugees have to make on their flight. At the end of the tour, there were hardly any items left. Thanks, Yaël, for this great post!